Simon pursues a thoroughly multi-disciplinary research agenda as a complexity and data scientist. In Economics, he is thematically interested in technology, innovation and non-equilibrium economics. Largely he uses computational and data science techniques to study socio-economic, biological, or physical phenomena. 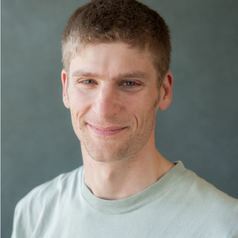 He has worked on diverse complex systems applications such as evolutionary models of joint-intentionality, finite-state automata models of perpetualy novelty, self-organisation in polymer films, complex neural regulation of endurance pacing, and cellular automata models of tumor progression. He also has a strong interest in networks and data science, including big data analysis and visualisation. Additionally, he has brought complexity thinking to sustainable development through his educational activities. Simon is a founding member of SoDa Labs, an empirical research laboratory associated with Monash University's Department of Economics and Department of Econometrics in the Monash Business School. SoDa Labs applies new tools from data science, machine learning, and beyond to answer social science questions using alternative and big data.